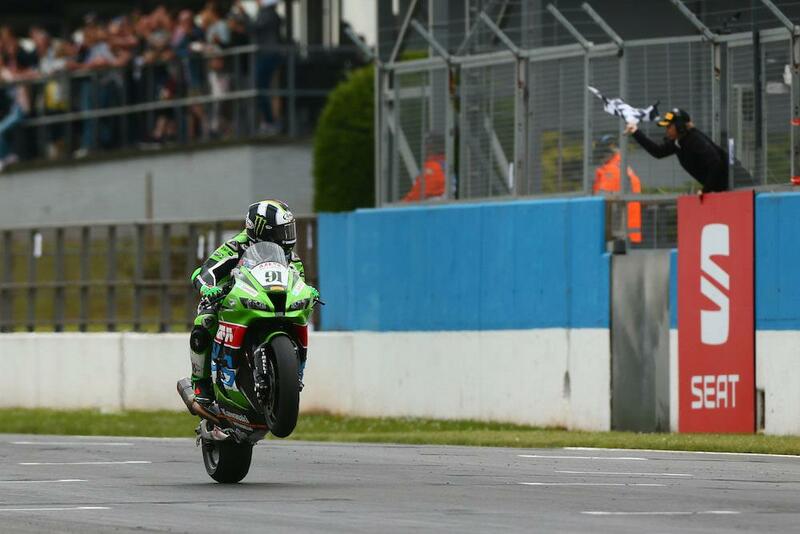 A number of Bennetts British Superbike stars will line-up on the grid as wildcards for next month’s Donington Park round of the World Superbike Championship. After clinching a shock wildcard podium with second place in the opening race at Donington 12 months ago, 2010 WSB runner-up Leon Haslam will be back in action with the Puccetti Kawasaki squad. As a warm-up to his home round, Haslam is participating in the Imola event just two weeks prior to Donington with the British series on their annual road racing break. Joining Haslam on the grid will be fellow BSB racer Gino Rea, who will be making his WSB debut at Donington with the OMG Racing Suzuki team. Rea competed on the world stage for many years in the Superstock 600 and Supersport classes, but never tried his hand at the 1000cc production class until a move to BSB this season. BSB series leader Bradley Ray is also tipped to be making an appearance at the circuit where he stormed to that impressive double win earlier this month. Speaking to MCN last week, Buildbase Suzuki boss Steve Hicken confirmed they had put an entry in for the event but said they were yet to decide on whether they’d take it up. Buy your tickets for the Donington round here.